Scott Stump had the idea for a Persian Gulf War memorial years ago. But it wasn’t until the 25th anniversary of the 1991 cease-fire arrived – and the Pentagon chose not to hold a single official event marking the day – that he truly realized how important it was. Their war, it seemed, was at risk of being forgotten. Stump’s group recently obtained congressional approval for the project, and is now working to make that idea – a memorial nestled in the heart of Washington near the iconic memorials for Vietnam, World War II and other wars – a reality. Designers and planners still have a long road ahead, and the process could take years. The group estimates they need to raise between $25 million and $40 million before the memorial can be built. The funds are being raised entirely from private sources. Stump, a Marine infantryman who deployed to the Gulf on Dec. 31, 1990, understands that the post-9/11 wars in Iraq and Afghanistan dominate the national consciousness. Those wars lasted far longer and involved significantly more casualties, and in a sense still have not ended. But Stump and fellow veterans of Desert Shield and Desert Storm worry about their contribution fading into a historical footnote – and they see this memorial as a way to preserve that in the solemn stretch of enduring monuments across the nation’s capital. By post-9/11 standards, the Gulf War was a paragon of efficiency and overwhelming force. 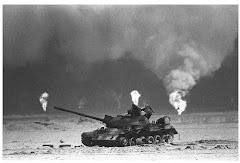 In August 1990, more than 120,000 Iraqi troops led the invasion of Kuwait and within a week President George H.W. Bush launched Desert Shield. Over the next four months, more than 600,000 U.S. service members were deployed to Saudi Arabia and the Persian Gulf region. It was the largest overseas deployment of American forces since the Vietnam War. 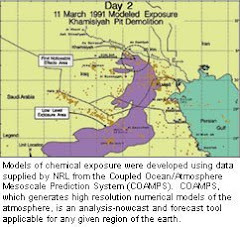 After Saddam Hussein refused to comply with multiple United Nations resolutions to leave Kuwait, a declaration of war was made on Jan. 17, 1991; weeks later, seven Army divisions, two Marine divisions, and units from allied forces crossed the border into Kuwait to eject Iraqi forces from the tiny country. Stump said the swift victory helped reestablish a positive relationship between the American public and the military. “I believe people recognize that we faced a determined enemy and tough terrain. We were asked to liberate Kuwait and we did just that. It was a historic victory that involved an unprecedented coalition. The men and women who fought in the Gulf deserve recognition and thanks for their sacrifice,” Palazzo told FoxNews.com. A 20-year old lance corporal at the time, the Mississippi Republican spent six months in the Gulf with the Third Force Reconnaissance Company providing support for the 1st and 2nd Marine divisions as they liberated Kuwait. Mike Coffman of Colorado and Jeff Denham of California, both Republicans, are the other two Persian Gulf veterans. Tennessee Republican Rep. Phil Roe had introduced the memorial bill itself in 2013, after an earlier failed attempt. Language approving the memorial was included in a broad 2014 defense budget measure. The memorial will honor all Gulf War veterans and their families, and the members of the 34-nation coalition. A total of 383 U.S. service members were killed in Desert Shield and Desert Storm, according to the Congressional Research Service. The memorial's proposed design incorporates that coalition and the maneuver credited with breaking the back of the Iraqi forces. The primary focus is a curved, massive, Kuwaiti limestone wall, which both encloses and envelopes an inner memorial space. The curved wall is reflective of the “left hook” maneuver that was critical to ending the war and also serves the purpose, according to the foundation, of shielding visitors both visually and acoustically from the noise of the city. The memorial space will include a 150-foot long sculpture that will feature the flags of the 34 nations in the coalition. The names of the fallen will be etched on the “inner sanctum” of the memorial. There are several locations under consideration, including a site directly adjacent to Arlington National Cemetery. Planners are coming up on a busy next phase for the project. This includes site selection, conducting environmental impact studies, and, most importantly, raising awareness and funds. Fred Wellman, chairman of the group's Public Relations Committee, said the goal is to raise $25 million. The group has several fundraising events planned for this summer. Wellman said they took a somewhat unconventional approach, by focusing first on getting congressional approval, seeking feedback on the design and ensuring it would be built near the other major war memorials on the National Mall. As a start, the group received a much-needed $300,000 grant over five years from the Veterans of Foreign Wars National Organization in August 2015. “We went about this with the same efficiency as we fought the war itself,” Wellman said. The funding would be the next step. But they received the biggest endorsement they could hope for in January, when former President George H.W. Bush joined the organization as honorary chairman of the Board of Directors. “During Operation Desert Storm, our troops served with valor and honor to defend what was right and just. Some lost their lives; others still live today with the wounds suffered in battle. Their sacrifices must not be forgotten,” Bush said in a statement.